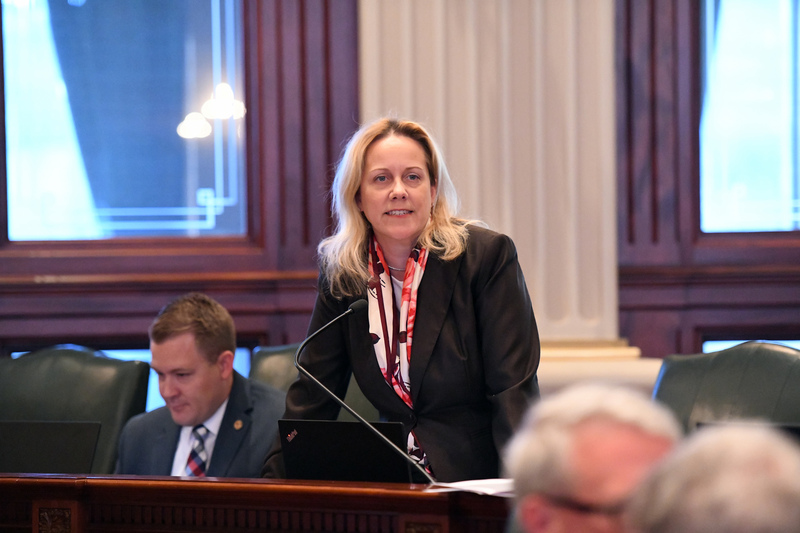 Today, State Rep. Deanne Mazzochi (R-Elmhurst) passed House Bill 3263 to bring added transparency to municipal governments’ public pension funds. Transparency on the financial viability of Illinois’ pension programs is supported among IMRF employees as well as taxpayers. Stakeholders will be able to use this information to make sure their tax dollars and earnings are being appropriated in a fiscally sound manner. HB 3263 is the first bill sponsored by Rep. Mazzochi to pass the House. It passed with broad bipartisan support by a vote of 112-0-2, and will now move to the Illinois State Senate for consideration.